Schubert - Quatre Impromptus, D. 899, op. 90. Strange, as much as I love pianists, I haven't followed the career of Buchbinder as much as I might though I have a number of his recordings. The big one, of course, is the original release of his complete Haydn piano sonatas on Warner Classics [63782, 10 CDs], wherein he offers sonatas 1 thru 62 plus unnumbered sonatas and separate pieces. I was so-so on this issue. There was an interesting RCA CD  of the two Brahms cello sonatas and a piece by Schumann wherein he collaborates with Janos Starker and an excellent set on Teldec/Apex/Erato  of Beethoven's five cello sonatas. He accompanies bass-baritone Walter Berry in a live recital of songs on Orfeo [520.991]. I also have in some concerto and chamber music work. There is also an interesting Teldec disc of ALL parts of Beethoven's Diabelli Variations, the only pianist to do so, near as I know. 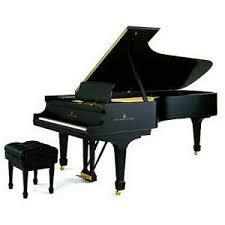 Seems to be an all-embracing pianist ... soloist, concertos, chamber music, accompanist to singers, etc. I'm a bit surprised other aren't chirping in on Buchbinder? CMGers know his work at all?
" The Sonata in E-flat Major, Op. 31, No. 3, is full of fascinating material. The “wrong” notes in the Menuetto are especially intriguing...When I first heard the final movement of the “Tempest” and declared it my favorite, I had not yet heard the final movement of the “Waldstein” Sonata, Op. 53..."
"Lesser" LvB's I enjoy are Op.2, #3 ; Op.10,# 1; Op.22; Op.79. When listening to the Beethoven Piano Sonatas I find myself pulling out complete sets, rather than particular favorites, like Op. 111. Claudio Arrau and Russell Sherman, along with Brendel's first set for the Phillips label end up on my playlist once a year each, along with a disc by Solomon. Buchbinder is not on my list: perhaps I should explore his output more. There are better sets of the Haydn sonatas than his, however. Brian, I'm curious. Brendel has recorded the Beethoven 32 on at least three occasions, first for Vox (for me good recordings, except sonics variable throughout, but generally always good pianos and fine interpretations). Then two for Philips (now Decca). You are attracted to Brendel's first set (I guess for the most part). What differences do you find, in general, between that AAD set and the DDD set recorded last? Regarding Claudio Arrau, I generally find his recordings much more musical before his last series of recordings. Of course I'm referring to Brendel's first Phillips set, rather than his set of Beethoven sonatas for Vox. I find his analog Phillips set still filled with youthful energy. In particular, the digital renditions are more ethereal, more intellectual, filled with thoughtful touches here and there. It's really Brendel's evolution on Beethoven, rather than any technical advances in sound quality, that distinguish one from the other. As I say, the youthful energy and beauty of his analog Phillips release is what stands out for me. BOTH are great, I just find his younger set more satisfying. The set for Vox (which I grew up with) is OK, but it lacks the authority of the Phillips renderings. As for Arrau, while I don't always agree with every note in his 1960's traversal, there is a great deal of musical thought and substance in his interpretation, and occasional forgiveable slowness. An altogether original interpretation but well within the bounds of good taste. The recent live recital broadcast led to my first hearing of his 2011 Sony cd recordings of the complete set of the Beethoven PC’s on YT . These are live performances with the Vienna Phil. , conducted also by Buchbinder. Per comments in reviews at Amazon-US, I believe the works were recorded in 2011 at a Saturday evening concert , and then at the very next day Sunday matinee in Vienna ( ! ). The orchestra must have high regard for Buchbinder to do yet another Beethoven PC cycle under such circumstances. A copy of the cd set interestingly says : P 2013 by Rudolf Buchbinder.Under exclusive license to Sony. C 2013 Sony. Distributed by Sony ( with a Warsaw address ). The are enough distinctive nuances to warrant adding this excellent set to my other Beethoven PC recordings. A bit tentative in the first mov. of # 1, perhaps the first played , but wonderful,Romantic slow movs. in all the concertos , very sweeping playing, “ con brio “ in all the concertos . The orchestra was fully engaged ; neither the pianism nor conducting seemed to suffer from Buchbinder’s dual role ; not sure he could have pulled this off with another band. IF the YT’s are evidence, the sound appears very good. Meat on the bones in # 2 ; # 3rd notable for an extra dose of “ sunlight “ throughout ; the first mov. of # 4 may be too dramatic, assertive , but an interesting contrast to more “reverent” readings , its final mov. wonderful contrasts ; the rubato in the slow, lyrical section of the first mov. of “Emperor “ , and its second mov. here , sealed the deal for me. Opinions expressed here meant to encourage listening, not meant ex cathedra. That was a good re-read of your impressions of Buchbinder, and a fine analysis of what you heard. As one reviewer pointed out, Buchbinder is not as well known on the North American side of the Atlantic than he is in Europe. But a look at his discography is all-embracing, including heavy Beethoven, Haydn, as you might expect, but also Liszt, Chopin, Schubert, Schumann, Mendelssohn, Bach, Strauss, Jr., and so much more, including concertos, and chamber music. A reviewer also pointed out that Buchbinder was not much of a "colourist," - which is the same situation I find in his recordings. His live recordings (Orfeo label and others) give a different view of his art in this respect. Just today, I received his Teldec/Apex recording of Strauss, Jr.'s waltz transcriptions by well-known composer-pianists of the past (Grunfeld, Schutt, Dohnany, Schulhof, and Schulz-Evler) that might give me yet another indication of Buchbinder's pianistic prowess. Just today, I received his Teldec/Apex recording of Strauss, Jr.'s waltz transcriptions by well-known composer-pianists of the past (Grunfeld, Schutt, Dohnany, Schulhof, and Schulz-Evler) that might give me yet another indication of Buchbinder's pianistic prowess. I have that Apex cd, and enjoy it greatly. Sparkling pianism, with some color. I've heard Buchbinder play these Strauss as encores after a Beethoven concerto performance. I heard this Strauss, Jr. disc in total today. I am very impressed with this recording of Buchbinder more than I thought I would. Wonderful pianism, and as you say, lots of "color," but superb technique and tonal quality. Wonderful piano in this recording, too! Glad to have this disc.